I'm an artist and I love drawing awesome characters! I first started when I was inspired by the super awesome Korean MMO Granado Espada. *_* It was so pretty and I've been trying to make my art as pretty ever since! I love drawing and art, and working on Heartbeats per Second requires my full attention every week. By supporting me, you ensure I can continue eating yummy food, drinking lots of energizing coffee, and ensuring HPS is not only done, but done super pretty! Get access to my Patron-only drawing and creative processes! HPS/future webtoon teasers and previews. See my work come to life from storyboards to sketches to colored WIPs! Coloured WIPs (sans narrative). See the comic before the others do! PDFs of the comics as they are released! Coloured WIPs (with Narrative). Get sneak peeks into the story as the comic is created! * Human-like, non-furry characters only. One character per patron. Scope of character (portrait, bust, etc.) determined by me. Download links will be sent to you via e-mail. * Human-like, non-furry characters only. One character per patron. Quality may vary. ** Must be OC, and human. Must fit in the HPS world. I only do fleshy humans/humanoids, sorry! Fairies, angels, etc. are ok! Fully detailed and colored piece. Simple background will be included. 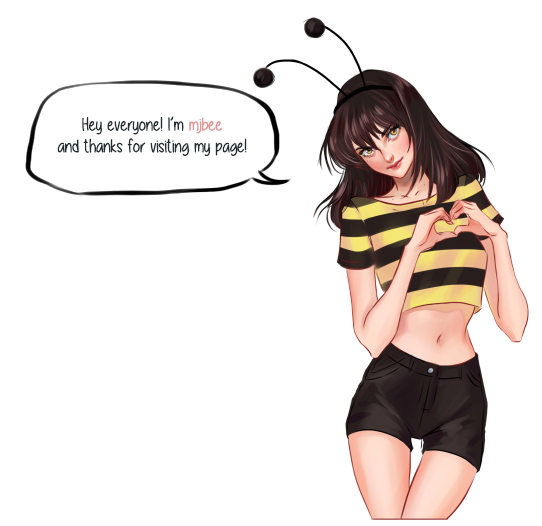 You all are amazing bees! I will open a new tier for Full Commission (Bust)!